When opencast mining ceased at Kimberly’s ‘Big Hole’ (1915) after its discovery (1872), it was then that my grandmother Maria Dodgen whose Afrikaner family wanted nothing to do with her after my grandfather died while enlisted with the British Commonwealth contingent, packed up her three children of Elizabeth, William and Benjamin, diamonds, accumulated monies, husbands war pension and moved to Cape Town where she bought enough property in Crawford to farm on. 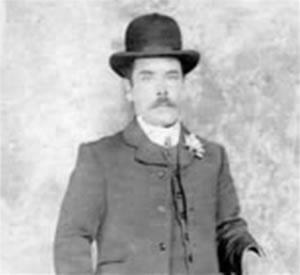 There she met and married George Llewellyn O’Connor whose parents were William (Bill) O’Connor and Phoebe Freeman from Tipperary (Ireland). She then had another four children, Phoebe, Grace, Violet and George. Another added ingredient was Antonie Manuel Lorenzo my great-grandfather on my father’s side who was born (1836) in Lisbon (Portugal). According to family and historical history he was a Caçadore (Portuguese Rifleman) in the Portuguese Light Infantry in 1856. His first married union (1858) brought forth two sons, Francisco (1860) and Antonie (1862), and when she died, his second marriage union on 3 October 1871 to my great-grandmother Catherine Mary Epolde of Naples (Italy), eventuated in another three sons and a daughter. Anthony Manual (1880), my grandfather William John Edward (1881), John Anthony Francis (1882) and Alice Christina Maud (1885). My grandfather William married Dolphina Francina Wilhelmina Newman of Kovna (Russia) on the 25 April 1906 in Cape Town and they had six children, Maud, Doreen, Olga, Anthony, Frank and my father Harold George. My grandfather died in 1918 followed soon after by my grandmother, and the three youngest children were placed into different orphanages. I have, as with all other family data researched, paperwork in reference to this set of circumstances obtained from the Society for the protection of Child Life, Cape Town of 1924. It seems my grandmother and her 6 children became that destitute after my grandfather’s death that they had to live in a tent. Unfortunately too, my grandmother contracted tuberculosis and was not only unable to work but also to take care of her children. She was then granted 1 pound per month per child. It also seems that when Maud, Anthony and my dad obtained work of sorts, the other three children still received the grant. With my grandmother on her death-bed, Olga was placed in The Sienna Convent Orphanage, Bonnivale, in 1926, and Doreen and Frank in the Holy Cross Convent Orphanage, Parow, in 1926. Because my dad was very family orientated, I grew up with these uncle and aunts, and it also saw me visiting their homes and becoming acquainted with my cousins. One such uncle and aunt that sticks out in my mind is my great-uncle Harry Sherman, my Jewish grandmother ‘Fannie’s Uncle Harry, who was born in Kovna, Russia, (USSR) on the 12 December 1892 and married Ada Mae Marshall from Baltimore, Maryland, (USA) in 1923 in Jersey City, Hudson, New Jersey, (USA). According to Fannie’s data that I have, my great aunt Ada Sherman was the one who organized the Society for the protection of Child Life for my grandmother’s children and was also the recipient of the grants. I also remember Uncle Harry very well because not only was he and my dad called by the same name, but we used to visit him at his home in Woodstock. Another thing that we remember Uncle Harry very well for but thought that it was unusual, was when he was in New York he wrote my dad to sponsor all of our family to come and live in America with him. At that time there was seven of us, but there was a catch, we had to revert to the Jewish religion. At that time also my dad was great mates with a Catholic priest called Father Terence who liked to spend time in his company. Now I can’t remember why and how this came about, but between the two of them they sent Uncle Harry a small Catholic bible with certain portions referring to Jesus circled. The only conclusion I can derive at is that Uncle Harry in his letter to my dad must have denigrated Catholicism. Well Uncle Harry didn’t take that lying down because he sent back the bible with red underline portions and explanations to the effect. I still think at times how strange life is when it throws you a curved ball. If my dad had accepted his offer I might have learned to throw a curved baseball, chewed gum and talked with an American accent. My Aunt Ada sent his death certificate and obituary, and it stated that he had died on 5 June 1966 and was being buried in New York’s Jewish Cemetery. Another connection with Jews was one of my father’s occupations after being a baker confectioner. It was working at Emdon’s Catering Services, a Jewish establishment that catered only for Jewish britzs, Bar Mitzvahs, engagements and weddings. Here I learned under my father’s supervision, when working with him, all the integral functions of preparation, presentation and services of catering to the Jewish culture. Although his upbringing of his Jewish heritage was short lived because of his mother’s early demise, which we were told was our granny Fannie, and also his father’s early death, which I was told was called papa and his mother, mama; he did at times make us aware of it by certain Jewish phrases and mannerisms. Working with him in that Jewish environment also gave me more of an insight into their traditions and culture, and the opportunity then to associate and socialize at their functions held in Jewish Centers or private homes, and at times frequent their synagogues and also realized what he had been on about. He would remind me that because of her having been his ‘Jewish Mama’ we had a stronger bloodline that connected us to the Jews who were God’s chosen people. He also loved to hear the rendition of ‘My Yiddish Mama’ by one of my sister’s, especially after she had consumed a few whiskeys. ‘Mazal tov’ (Good luck) was what he always said, particularly when having a drink, and matzah (unleavened bread) was made known to us due to his trade as a baker and making it for us. We also got to know why he insisted on mirrors to be covered when there was a death in the family through his explanation that a person’s soul was likened to a light and shouldn’t be reflected. I could never work out how he combined both the Catholic and Jewish faith even though knowing of his heritage, and also his connection of the Christian Christmas and the Jewish Hanukkah, until later in life when learning why. Both I found were celebrated at that time because the Coptic Church dedicated December 25th to the memory of a Jewish mother and seven sons who were martyred in Antiochia because of defying the order of worshiping idols and chose death instead. Their coffins were then taken to Constantinople because the Christian Church of that time regarded them as saints, and from there they were placed in Catholic Rome, which to me seemed reason enough for my father’s dual beliefs. I was even told by a rabbi that because my grandmother was Jewish, her third generation of children would also be Jewish even if the fathers weren’t. There would also be no way for those children to ever convert out of Judaism. Once a Jew, they die a Jew. But a person is always free to choose their path of spiritual practice. I was also told that we could belong to one of the twelve tribes of Jews that God promised would have a place in Paradise. But then again paradise is in the eye of the beholder because I’m living in a place called Surfers Paradise. The Seapoint Synagogue in Cape Town was one establishment that I thought my feet wouldn’t have ventured into; however, when invited to a Bar Mitzvah of a 13-year-old son of a Jewish friend of mine and to attend the function, which was celebrated at a Jewish facility nearby, saw me going to both. What I found was that their ceremonies didn’t stray very far to what I was accustomed to in ours, except for the Yiddish. What was also a revelation was in finding out that the mixing of the wine with water during a Christian service for Holy Communion was due to the wine that was that strong in Palestine that they had to drink it mixed with water in those times, and that tradition continued from the Jews to the Christians in that celebration. My dad when working at Emden’s also changed the whole concept of the catering there, much to the owner Mr Emden’s delight. He retrained the entire kitchen catering staff to work on a production line system when producing savories, dainty sandwiches or any other finger food instead of having only one person doing individual foods, and he did the same to any other preparation of foods. The kitchen not only buzzed then but it made for a happier disposition amongst the staff. He next put his hand to decorating the main table as per he use to decorate cakes as a cake confectioner. Colorful lace and ribbons with entwined ferns and roses, as nominated by the people of the event, were pinned as a flowing decoration to the front and sides of the table. A set piece of decorated cut flowers was usually arranged by a flower seller from Cape Town Parade where flower sellers hawked them from. My dad because of his decorative flair also took this over because he was adding ice-sculptors and dangling fruit to it. The Jews were that taken with it that they wanted one-offs at their functions, which of course Emden was making a bundle on and it was bringing him more private home function parties. To all of this he added his pièce de résistance that was his signature; touches of gold colouring on most things. Even today after all these years, we still make mention of it when catering for our own functions to not forget my dad’s touch of gold. On a different note about the Lorenzo’s. Having always been intrigued by my surname and on researching it, I was pleasantly surprised to what unfolded. The emperor Titus brought 20,000 Hebrew (Jew) slaves to Rome after the Romans sacked Jerusalem and they were used to build the Roman Coliseum. Many settled in Italy, and so as to simulate into the Roman Empire, they adopted Roman names as surnames, as did one family to Lorenzo (laurel) The Lorenzo surname origin is derived from the laurel plant that grew in abundance in Florence, Italy, which was worn as a woven wreath on the heads of victors by the Greeks and Romans. However, when the Roman emperor Constantine The Great in 326 converted to Christianity, they in turn began persecuting the Jews in retaliation for their martyrdom in the Coliseum for being Christians. Jews then had to either convert to Christianity or be expelled. Many converted but 200,000 went to Spain, as did the Lorenzo’s. The Jews in Spain were known as Sephardim Jews, the Hebrew name for Spain, which also means ‘far away’. Eventually when Spain became Christian in 1479 under King Ferdinand and Queen Isabella, the Sephardim Jews and Muslims there who wouldn’t convert were expelled. Many of them converted but 100,000 went to Portugal. In 1497 though when King Manuel of Spain married the daughter of the Spanish monarchs and also became Christian, the Sephardim Jews were again told to either convert or be expelled, of which only five families were expelled. This goes to show why the Lorenzo name exists in Italy, Spain and Portugal, and although it has variants as Lorenzo as a personal name in Italy, Lorenzo as a surname in Spain, spelt as Lourenco as a surname in Portugal and Lawrence in English. The Jewish origin of our family name not only speaks for itself but I have Jewish family in South Africa and America. Shalom.